How-To articles for Honda CRF models. Discuss the latest CRF's Only product reviews here. All political discussions go here. A place for the thick skinned only. A meeting place for the lady CRF pilots. For the next generation of Honda CRF riders. Global Positioning Systems information and discussion. Protect your right to ride. Heath and Fitness - Share or ask questions about health and fitness here! Videos of people riding dirt bikes. Please keep it "family viewable". Add your location to the CRF's Only Frappr map. Racing and the riders that race. Anything to do with your local race scene. We all want to go faster, crash less, and look better doing it...share you're best riding techniques here. You've read about them, created some of them, and in a pinch wished you could have remembered them...well, share those tips and tricks that will make us say "oh yeah, that's a great idea...I'll have to remember that." All your favorite places to ride. Topics relating to the Honda CRF450X. Topics relating to the Honda CRF250X. Topics relating to the Honda CRF1000L. Topics relating to the Honda CRF450L. Topics relating to the Honda CRF250L. Topics relating to the Honda CRF230L and CRF230M. Topics relating to the Honda CRF230F. Topics relating to the Honda CRF150F. 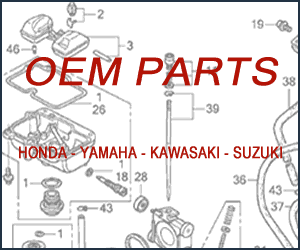 Topics relating to the Honda CRF125F. Topics relating to the Honda CRF100F and CRF80F. Topics relating to the Honda CRF70F and CRF50F. Have something you'd like to sell? Have something you want to buy? Post it here! News about the CRFs Only message board. Your basic virtual suggestion box. The Polling Booth! Here you can create polls for topics of interest to all. Believe it or not there are other dirt bikes than Honda CRF's. You can discuss them here. You know you have one! Talk about them here. This thread is dedicated to determining what type of CRF450X we're going to build. This will only be open for 24 hours and then we'll move on to the next phase...spec'ing out the build. This is it! We have selected to build out a CRF450X as the ultimate off-road bike. Here's where the fun really begins. In order for us to stay on topic there will be a thread for each area of the bike. Use each thread to indicate your preferences. I'll leave this running at least through the weekend. General discussion about the Dirt Bike project bike. This will journal of the progress we are making in completing the build. We've limited posting to this thread to keep it focused just on the progress we are making on the build. If you have questions or comments on posts here please use the General Discussion thread.